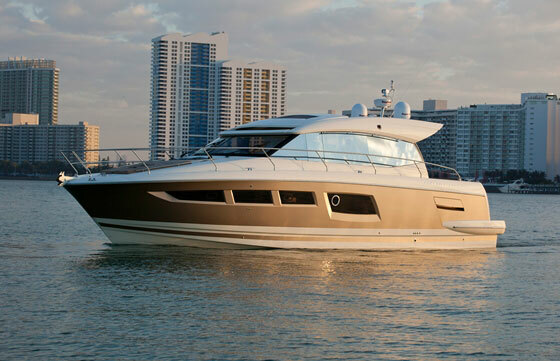 The 2016 Outer Reef 880 Cockpit Motoryacht has extreme range, extreme comfort, and and extreme quality. 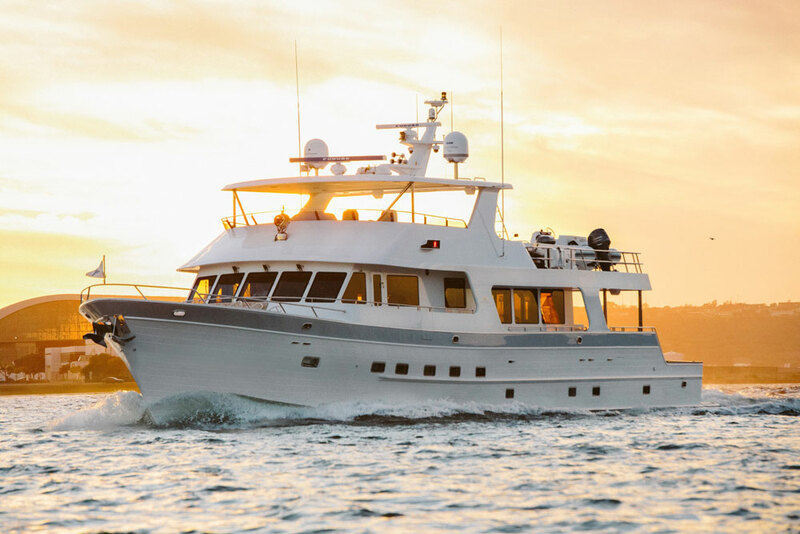 Outer Reef Yachts builds the kind of boat you set your sights on if you’re serious about cruising. They're created to demand-driven lengths and are highly customizable by owners. 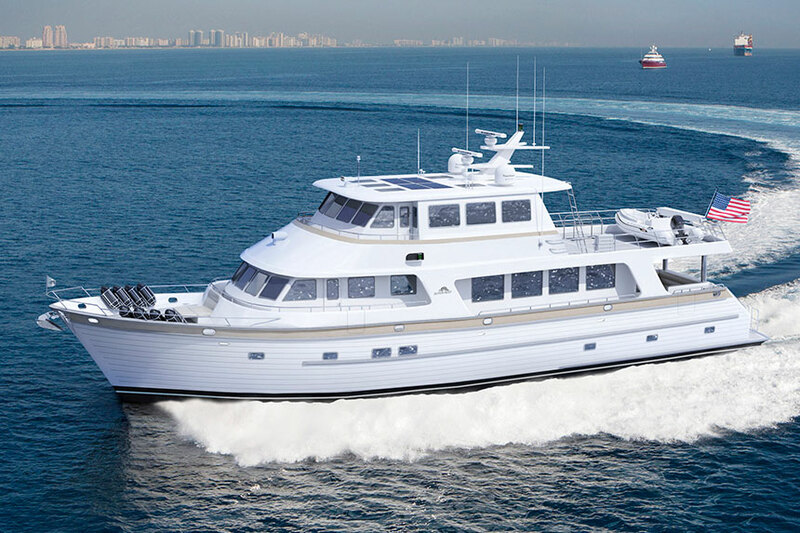 Outer Reef builds the cockpit motoryacht models using three molds; the flybridge, deck and hull, the last of which may be dammed to create vessels of varying lengths. The semi-displacement, flaring hull, which is solid fiberglass below the waterline, has a keel that runs the length of the underbody and stops short of the cockpit. Above the waterline, the hull and deck are vacuum-bagged foam-core sandwich construction. These designs won’t go 30 knots, but they will go over 2,000 miles—and if you’re looking to explore the distant horizon, an Outer Reef like the 880 Cockpit Motoryacht we tested should be on your short list. The layout is classic of an offshore vessel. Side-decks are wide with high gunwales and overhead protection, and they lead to the Portuguese bridge forward, a cross-member that provides both safety for anyone on the bow and structural integrity for the vessel. The aft cockpit has two levels: On the same level and directly accessible from the saloon, the upper cockpit has outdoor dining for six or more and offers options for a refrigerator and grill. The lower cockpit is perfect for a fishing crowd, divers who need to spread out tanks and gear, or kids looking to have fun in the sun. On a vessel this size, it’s expected that there will be more than one helm station and the 880 Cockpit Motoryacht has three (of sorts). The inside helm is on the main deck ahead of the galley. Our test boat had a glass bridge formed by three Furuno MFDs angled so the captain and mate in their twin Stidd chairs could see the screens easily, and avoid glare from the windshield. The dash has everything at your fingertips and information on a litany of vessel systems is overhead. Doors on either side of the pilothouse allow crew to move out to either deck quickly, if needed. From here, visibility forward is affected by the high bow—so it will be a good place from which to drive offshore but may be a challenge in close quarters. The upper helm on the flybridge can be either open or enclosed in a skylounge option. Visibility forward is excellent and key systems are repeated with twin MFDs, thruster and engine controls, engine displays, and another two Stidd chairs for the captain and a companion. The rest of the flybridge is dedicated to comfort and socializing with two L-shaped settees and tables, and an option for an outdoor galley. In the case of the skylounge enclosure, there’s still plenty of room outside for a dinghy, a lift, and even bikes, scooters, or PWCs. Finally, there’s a remote station in the cockpit with joystick control. This one will come in handy while backing into a slip, when you need to see the entire aft section of the boat. Outer Reef is a semi-custom builder so each boat may be highly personalized depending on the needs of the owner. A $60,000 allowance is provided so that each owner can specify his or her décor with the help of Deborah Manzi, the in-house interior designer, or with an outside agent. Whether your taste leans toward the modern and minimalist, or the traditional with an expanse of teak built-ins, so long as your choices don’t impact the structure of the boat and machinery, most elements may be modified to suit your personal vision. A central focus of our test boat was the galley, positioned between the long saloon aft and the pilothouse forward. It was a home-styled kitchen with endless granite, stainless-steel household-sized GE Monogram appliances, and clever stowage cubbies hidden everywhere. 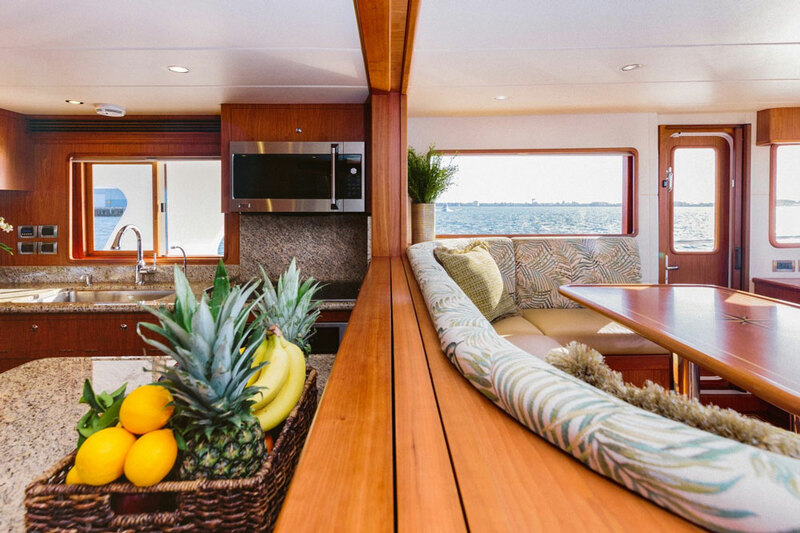 Its location makes the galley central and the chef can easily pass meals to the dinette forward or snacks back to anyone watching TV in the saloon. A panel between the galley and the dinette can be raised electrically, if the chef or owner so desires. 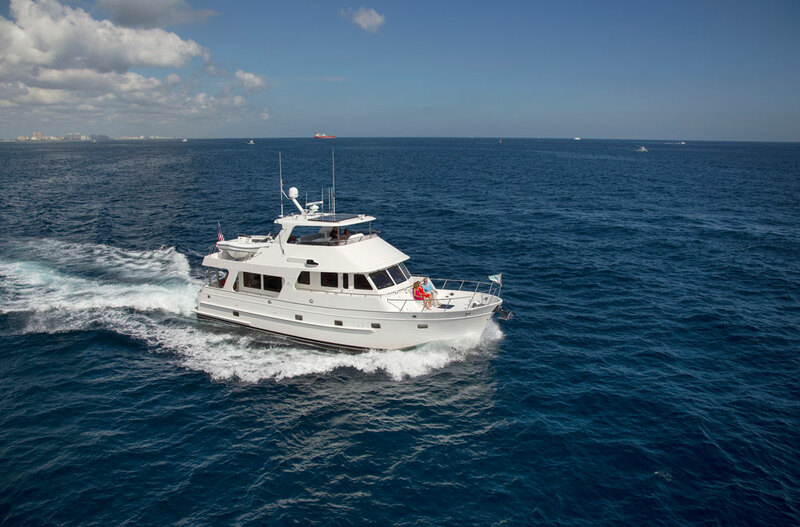 Accommodations on our test boat included three cabins: One with twin beds to port, a double with a centerline island berth forward, and the full-beam master with a king size bed amidships. The master stateroom was separated from the din of the engine room by the head and a walk-in closet aft of the headboard. The master may be reconfigured and the VIP quarters forward can have two separate bunks. The entire machinery space is well insulated and gasketed, and throughout it you’ll notice bar-code tabs that may be scanned with an app on a smartphone. Each system code will correspond to a section of the digital manual that every owner receives, and information may be sent to shore-side personnel when troubleshooting or requesting parts. Taking it one step further, Outer Reef also has an extensive network of service yards around the country as well as Australia, Canada and even the Middle East. 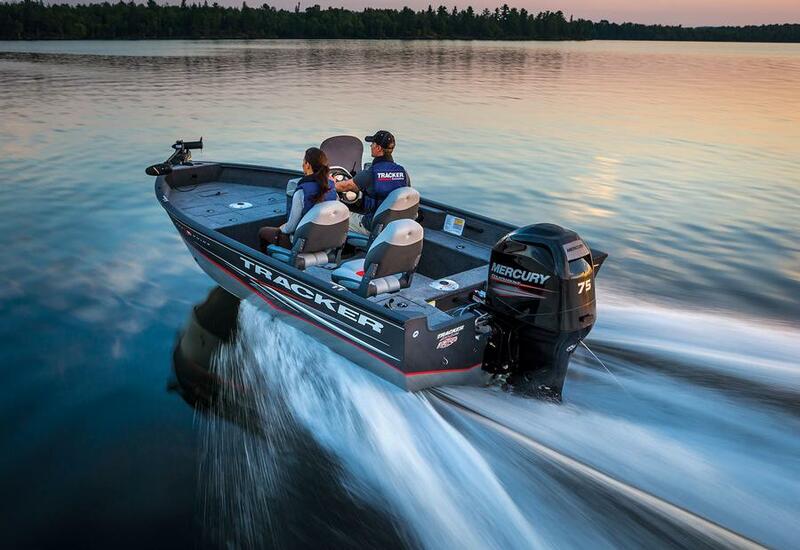 That makes for peace-of-mind for any world cruiser. Another notable feature is exemplary crew quarters, for which Outer Reef is known. 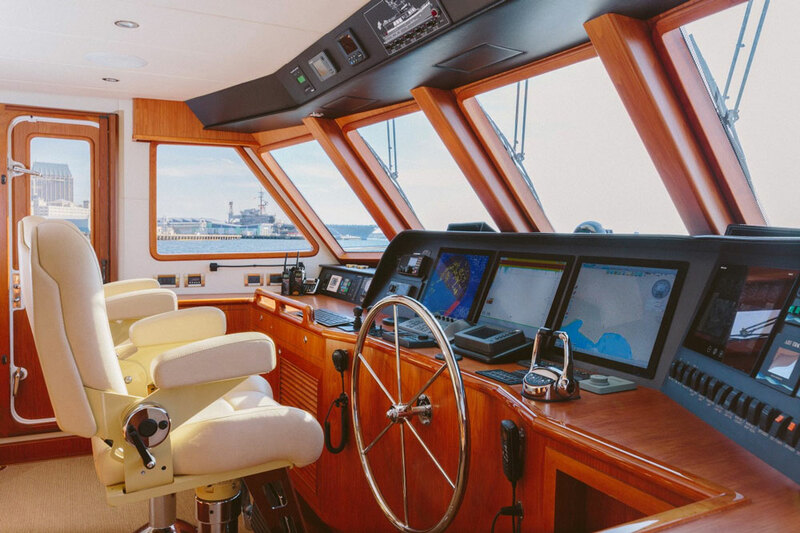 Thoughtfully designed and well-finished-out living spaces make for a happy captain and mate and since only about 50-percent of Outer Reef owners hire professional crew, the extra cabins and galley can also be used by guests or kids. 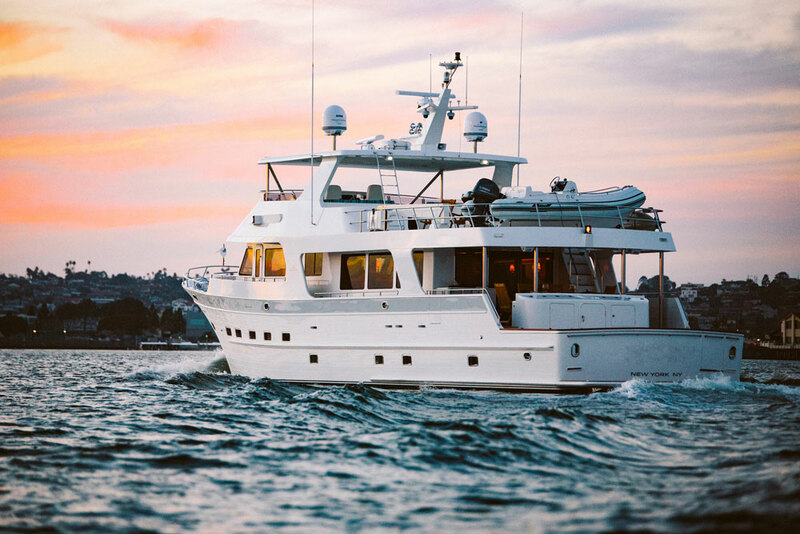 With an all-granite galley and nicely-paneled cabins and heads with stall showers, no one would mind being the captain, guest or grandkid on this boat. An eight-knot breeze tickled the water during our sea trial on San Diego Bay, and we headed out with full tanks and six people aboard. Like any boat of nearly 200,000 pounds, the stately Outer Reef 880 moved majestically and deliberately through her turns. There was no shimmy, jerky movement, heeling, or hiccups. Heads turned as we brought the boat up to speed at wide-open-throttle where she burned 106 GPH at 14.2 knots. A far better long-range cruise would be at nine knots, where fuel burn was around 12.4 gallons. With 3,000 gallons of fuel aboard, the boat would easily dip down into Mexico and beyond. Outer Reef owners are savvy and experienced and generally are not first-time buyers. They may be coastal or bluewater cruisers, and they know what they want, which is why they’re usually highly involved with the construction process. The Outer Reef 880 is the boat for these people, as it offers a customizable design where input is accepted and the result is a strong, stable vessel that will get them comfortably around the coast—or around the world. See Outer Reef yacht listings. 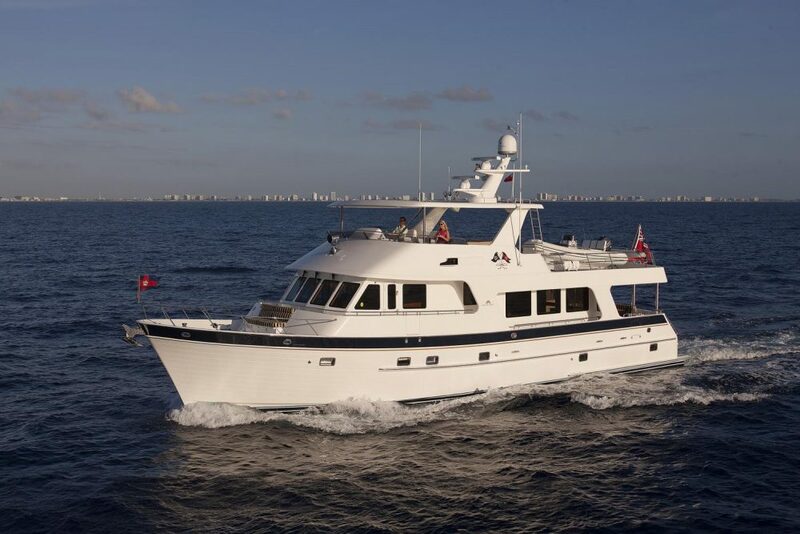 For more information, visit Outer Reef Yachts.